Discovery Hub: This site is dedicated to helping you discover the answers to your questions and to learn how to do it yourself in a big choice of self help and professional development subjects, not just the usual DIY home guides. I will feature tips and self help guides for a huge range of projects covering everything from the view of applying simple to follow step-by-step instructions or answers to fix your problems. The goal is to provide you with a valuable online resource that also includes my books to provide even more in-depth answers to learn all the essential 'life skills' you need to master if you want to know how to be happy, healthy, wealthy, and wise. Just look at the directory of subjects I'm covering here and start learning how to do it yourself! I have been creating ebooks for over a decade that were sold direct from my websites, and a few years ago I extended to writing books for sale on Amazon / Lulu / iTunes / and retailers like Barnes & Noble. There is more here in the Helene Malmsio | Author section to tell you about my exclusive books and to introduce you to them, published not only as paperbacks but also in 3 new digital formats to improve your digital reading experience! 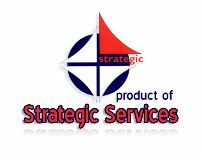 Strategic was first established in 1987 so this is no newbie operation and Strategic Services products have a reputation for quality products and services world wide. For the online business webmasters, there is also a section here where you can buy my exclusive niche PLR article packs and other SE marketing content. This is top quality pre-written content that you can edit and add your own name to! This is for those of you who are setting up your online businesses and want to quickly get your hands on Private Label Rights content for your sites and blogs that isnt already online on thousands of pages on the internet. And if you are curious about who I am and why I think that I have any expertise to share with you on any of these subjects, just check out my "about me" page - and you will see that I have been very, very busy (and successful) in my life - and I will keep adding more stories and photos to show you what my tips are based on. And where I don't have personal experience on a subject that is requested I will find and feature the best how to do it guides and information, that is written by experts in that field. Just check out the Navigation bar subjects on the left side of this page as they will help you to find the How To Do It information you are looking for! So far I'm having a great time sharing my experience and writing up the information for this site. Its simple to do and I get to spend all my energy on the creative fun stuff, not learning coding and other IT stuff. If you dream of creating a site of your own, so easy to build that your 8 year old niece could edit it for you, check out the video and banner below! SITE DISCLAIMER: The how to do it yourself resources on this site are not intended to be a substitute for therapy or professional advice. While all attempts have been made to verify information provided in this how to DIY publication, neither the author nor the publisher assumes any responsibility for errors, omissions or contrary interpretation of the how to subject matter herein. There is no guarantee of validity of accuracy of any content. The information is provided for your education and entertainment. Any brand names and copyright logos and names remain the property of their owners. Any perceived slight of specific people or organizations is unintentional. This learn how to do it website and its creators are not responsible for the content of any sites linked to. "Ads by Google" are not selected by me, so if you see a Google ad and a Web page about the same product or service, it is a coincidence.I only accept non-Google sponsorships from providers of high-quality goods or services. I appreciate their recognition and support of this site. Rest assured that the actual content on sponsored pages are independent of any sponsorship or affiliate relationship. Please do support my sponsors and recommendations. This site takes time and effort to deliver original content, free, to you. Supporting my sponsors is a WIN-WIN-WIN for you, me, and them. Thank you very much. Helene Malmsio is a participant in the Amazon Services LLC Associates Program, an affiliate advertising program designed to provide a means for sites to earn advertising fees by advertising and linking to Amazon.com. Image Credits: Featured Images on this page are used under paid license from sources such as: Fotolia | BigStock | Dreamstime or free sources such as MorgueFile | Pixaby | Stockphotosforfree | Photorack or are my own images purchased & used under their MRR/PLR terms. Other Amazon product images are used with permission as part of my affiliate links with Amazon.com. The how to do it yourself contents are solely the opinion of the author and should not be considered as a form of therapy, advice, direction and/or diagnosis or treatment of any kind: medical, spiritual, mental or other. If expert advice or counseling is needed, services of a competent professional should be sought. The author and the Publisher assume no responsibility or liability and specifically disclaim any warranty, express or implied for any products or services mentioned, or any techniques or practices described. The purchaser or reader of this how to do it yourself publication assumes responsibility for the use of these materials and how to do it articles and information. Neither the author nor the Publisher assumes any responsibility or liability whatsoever on the behalf of any purchaser or reader of these how to do it yourself materials.